Japanese gardens are becoming more and more popular these days. The natural beauty of the minimalist scenery and its calming effect entices people to come over and over again. Did you know that you too can make this kind of garden in your home? Armed with the gardening basics and a lot of creative ideas, you can have a Japanese inspired garden that will be the envy of your friends. 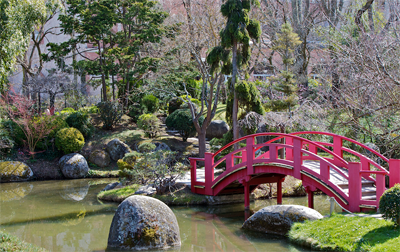 Japanese style gardens are miniature landscapes. In creating one, you need to remember that your goal is to replicate natural landscape as much as possible. A fountain, no matter how well it would blend with the other ornaments must not be used as there are no fountains in natural landscapes. A square pond will not do either as there is no square pond in nature. Instead of a fountain, you can create a waterfall. One that meanders through curved streams before flowing into an imperfectly shaped pond would give the garden a natural look. You have to deliberately make your creation imperfect so that the natural appearance of the miniature landscape will not be disrupted. 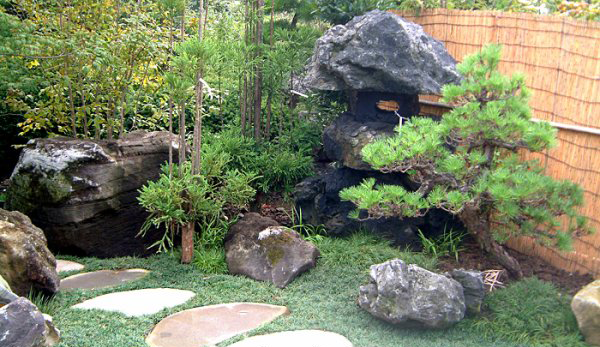 The essential elements of gardening the Japanese way are stones and rocks, sand, vegetation and water. Japanese styled gardens always have large stones as they represent hills and mountains. Ponds and streams are also important elements of this type of gardening. A water fall that flows into a pond is one of the most basic designs of Japanese style gardening. These water elements representing seas and lakes are essential as they replicate the bodies of water that are most significant in Japanese history. Gravel is used to give accent to the edges of ponds and streams. A miniature body of water is a basic element of Japanese gardening. Creating one though may not always be possible. This is where the importance of sand comes in. Sand is used to make “dry water”. Large stones and rocks that will replicate hills and mountains will be surrounded with sand that depicts water. The sand is raked to give a watery impression. Bamboos and bonsai plants represent vegetation. Ornaments in a garden are basically used as accents for aesthetic enhancement. The ornaments in the form of bridges, Japanese lanterns and water basins will enhance the feeling peace and will unify the theme of the garden. The mellow light emanating from the stone lanterns would create an impressive visual impact. The soothing sound of water flowing to the water basins will add to the serene ambiance of the garden. Japanese gardening is in these days. Your neighbors may have this kind of garden too but the uniqueness of your garden ornaments will set your garden apart from the rest.